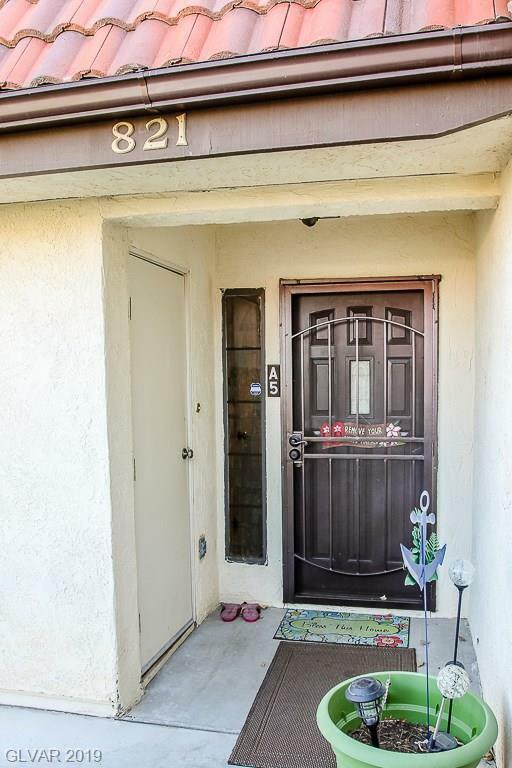 ONE STORY centrally located town home, offering two bedroom and two full baths. New flooring, granite counter-tops, fireplace in living room, kitchen offers breakfast bar, rear patio is covered with wrought iron fencing, that provides security. Community pool and spa for those hot summer days. Don't miss this opportunity, there's ONLY 9 single story units in the entire complex.